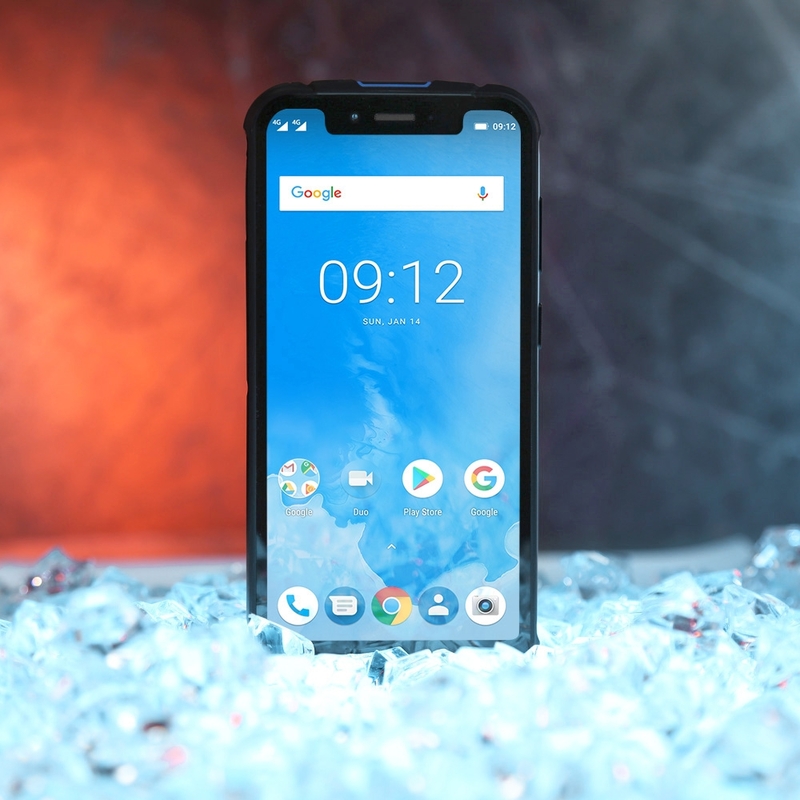 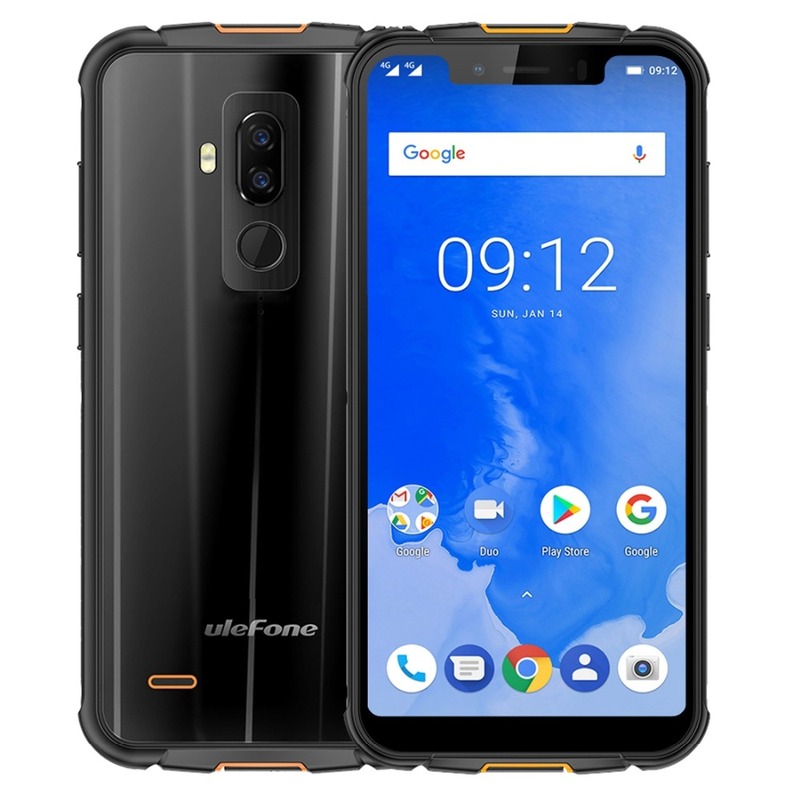 Coming with a fantastic 5.85“ Notch Screen display, the rugged Ulefone Armor 5 brings along a stunning media experience. 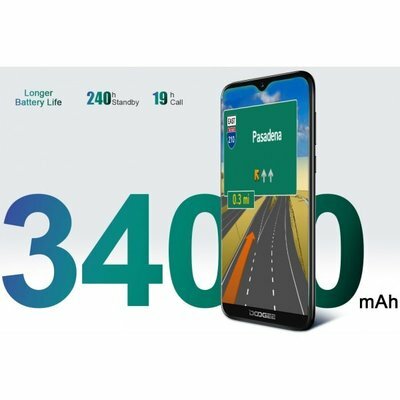 With resolution of 720*1512, the display delivers remarkably quality images with vivid colors and sharp details, ideal for photos, movies and web browsing. 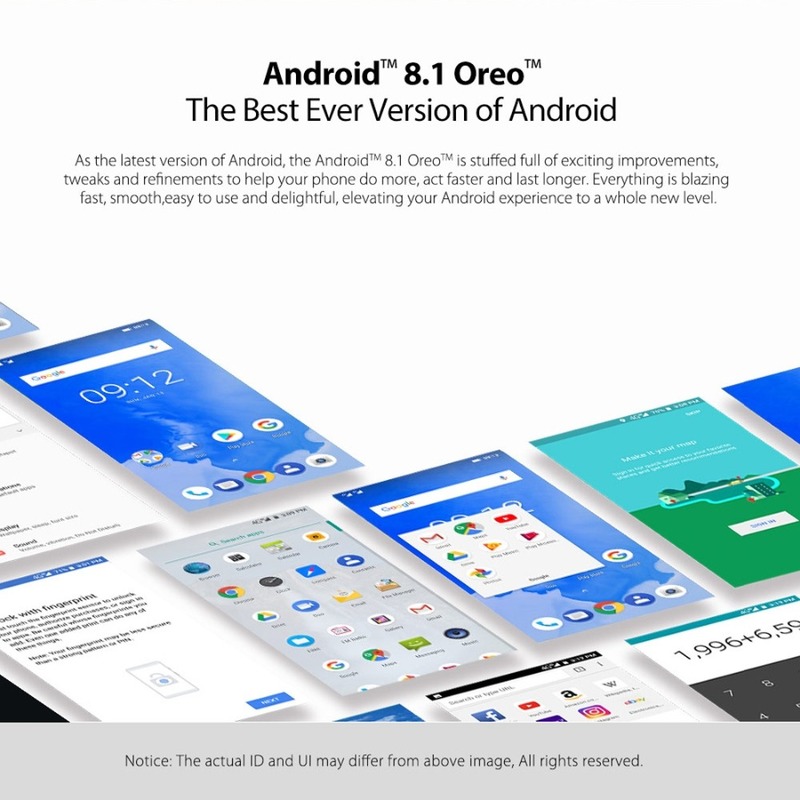 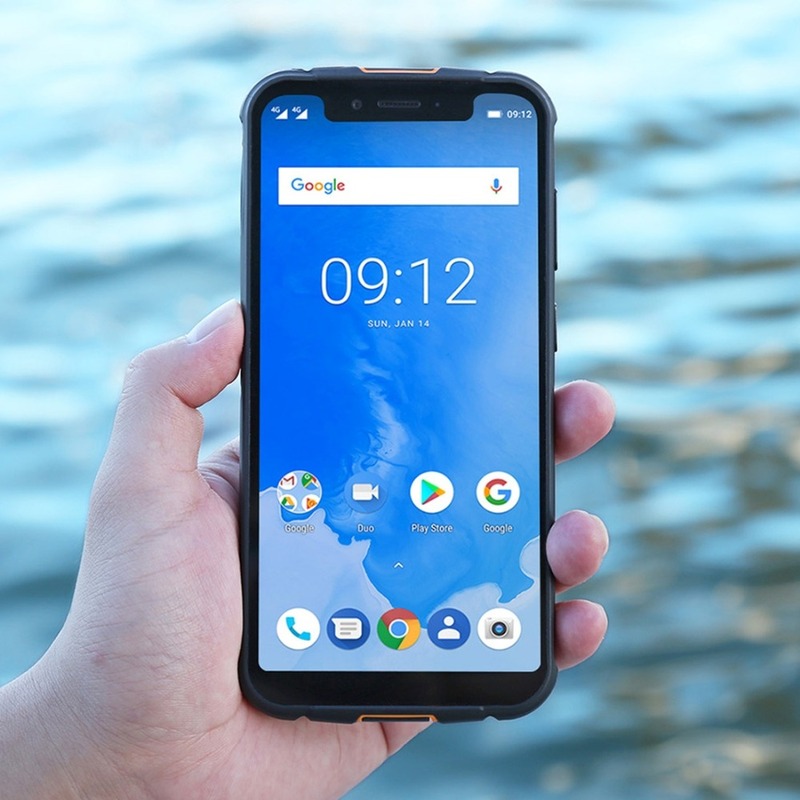 Beside, the 18.9:9 aspect ratio makes the phone more manageable with one hand. 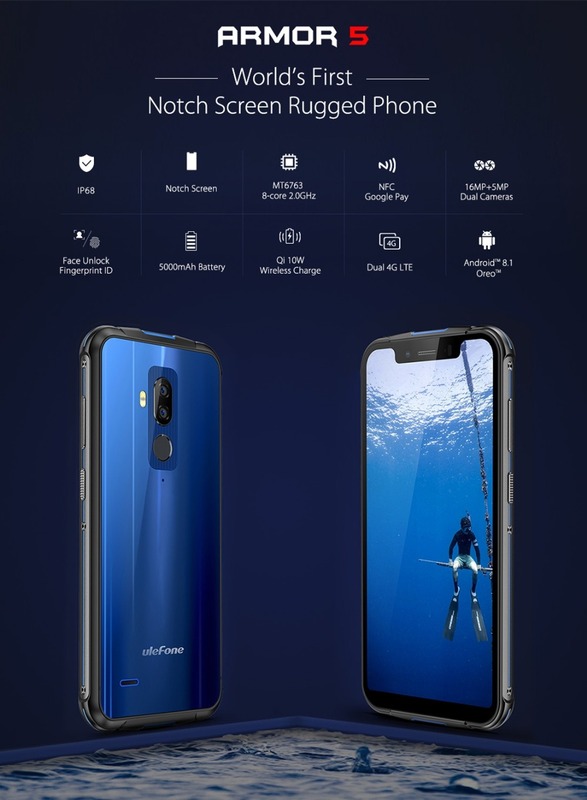 Wake the screen and you’ll be all set to enjoy day’s worth of fun from the palm of your hand. 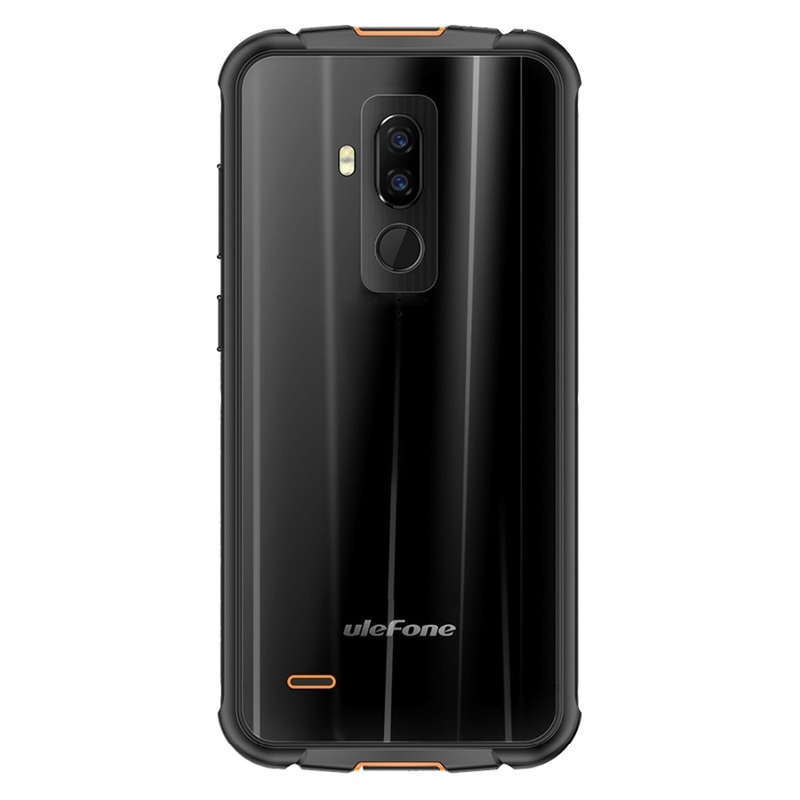 Backed by an international standard rating of IP68, Ulefone Armor 5 is able to survive from 1.5-meter depth in the water for an hour or 1-meter depth in concrete for 24 hours. 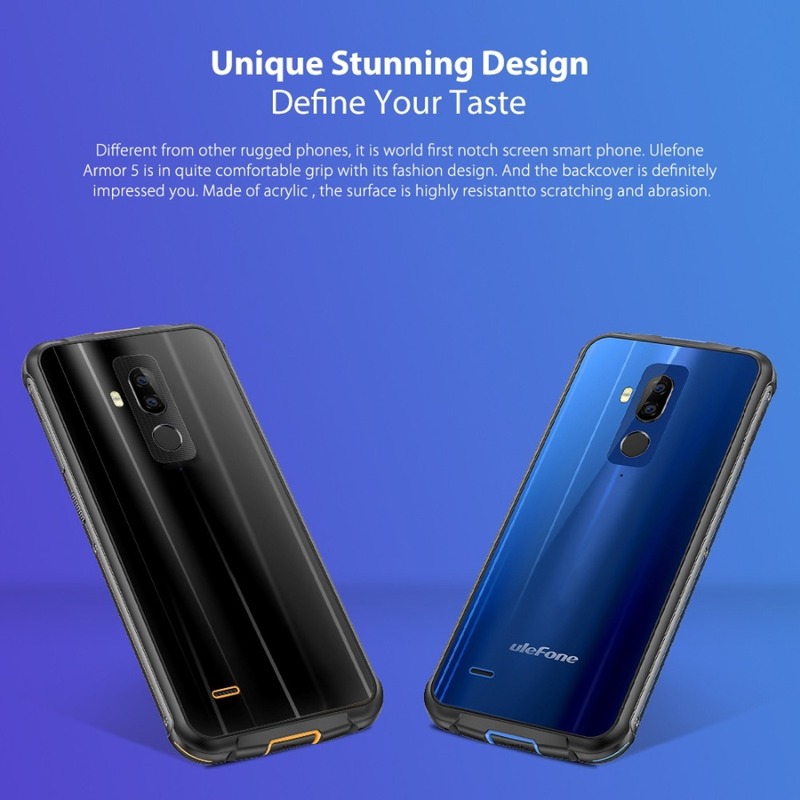 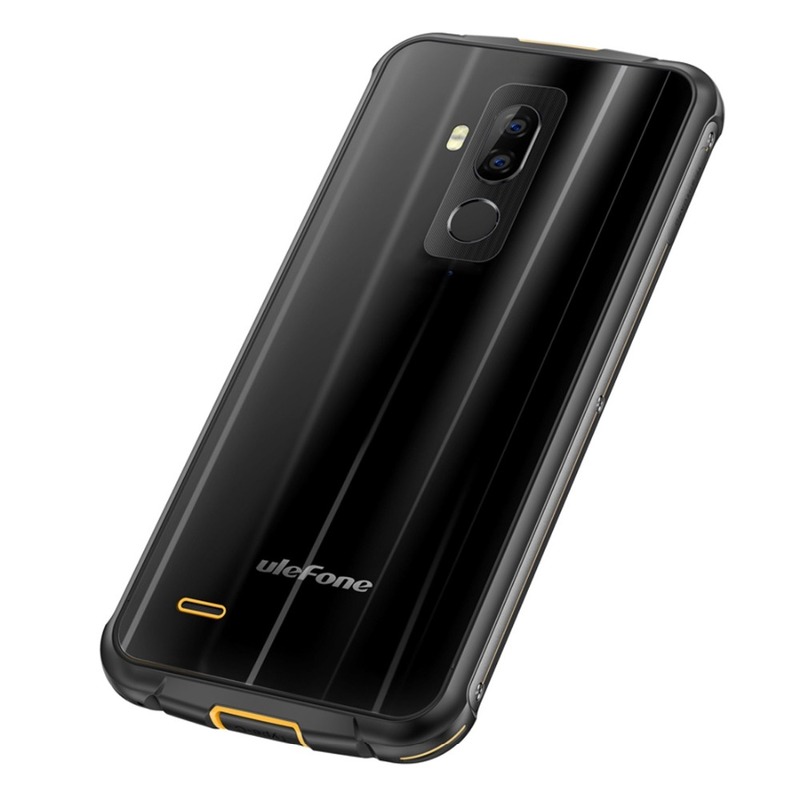 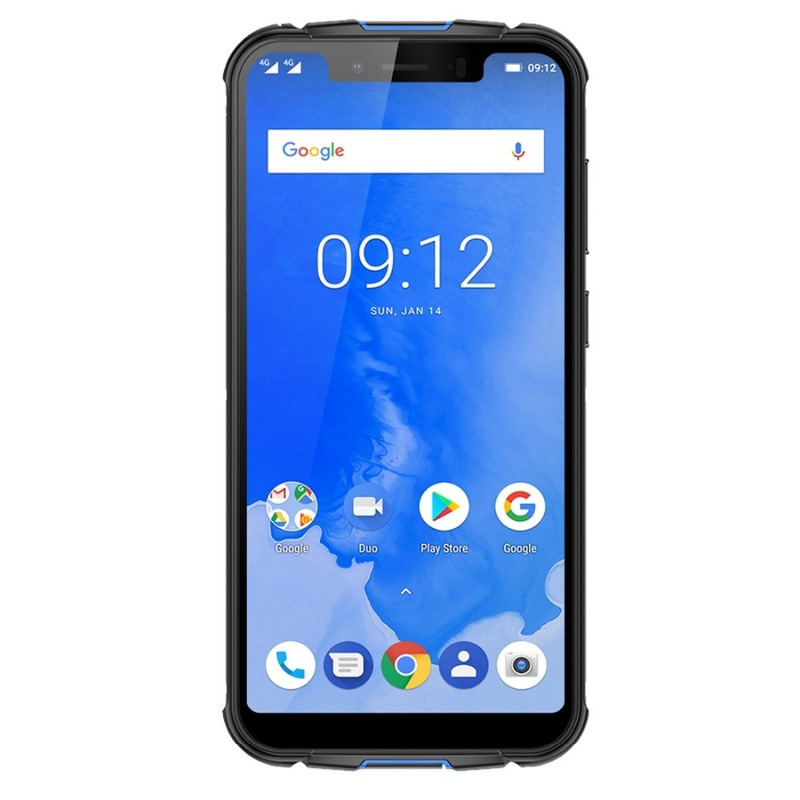 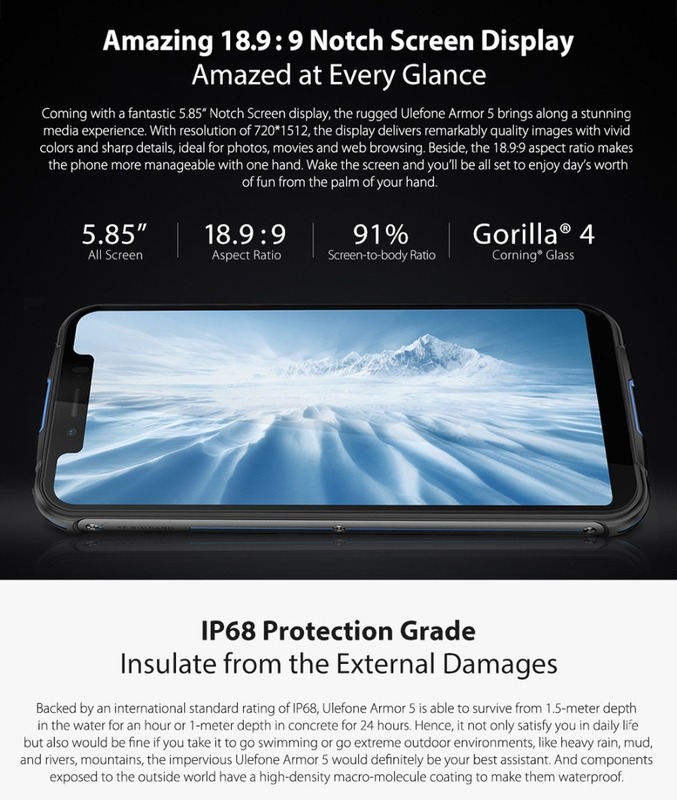 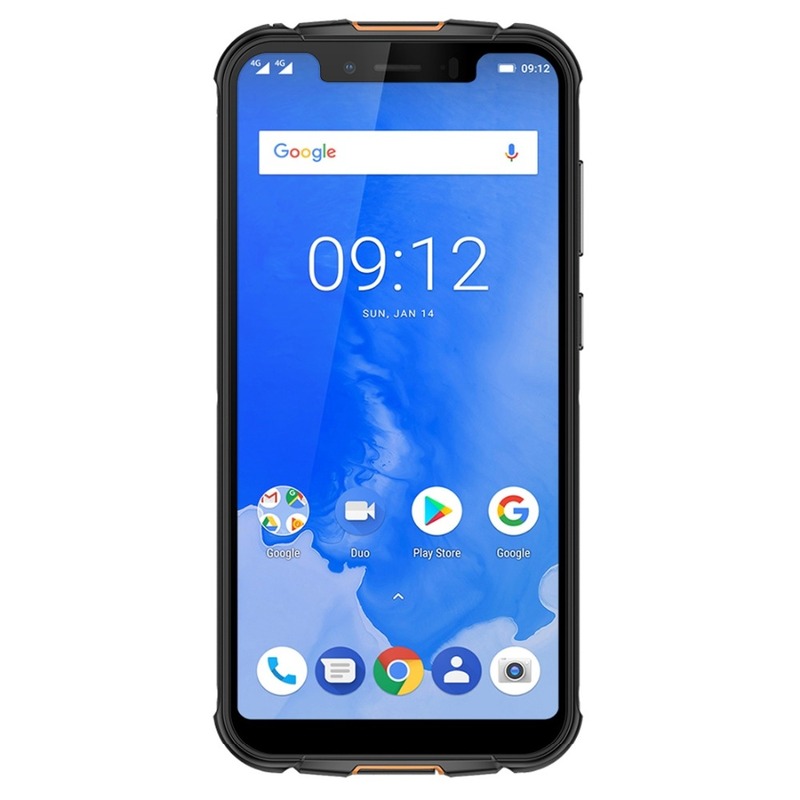 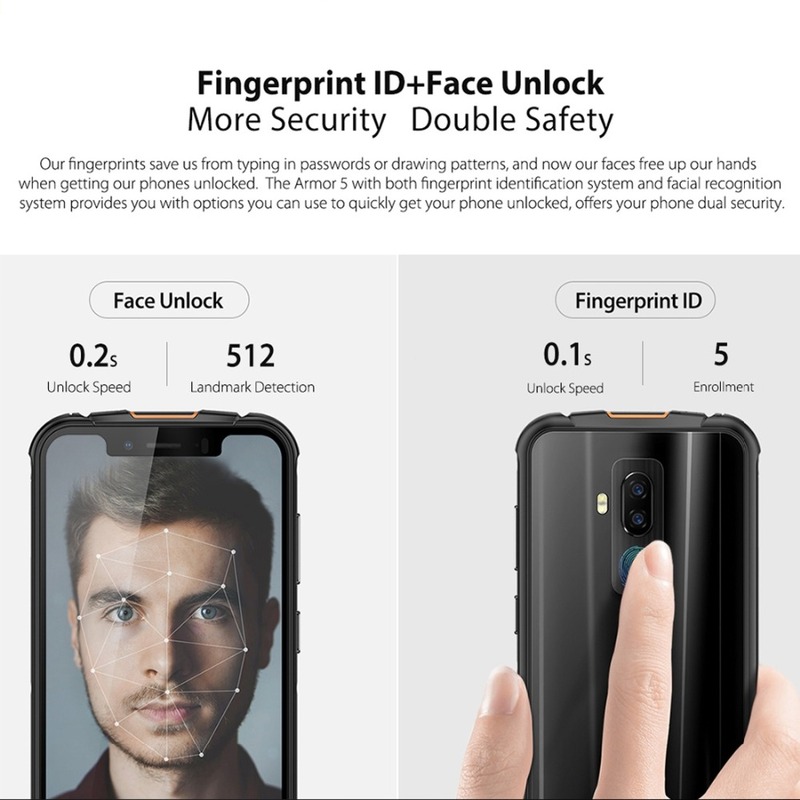 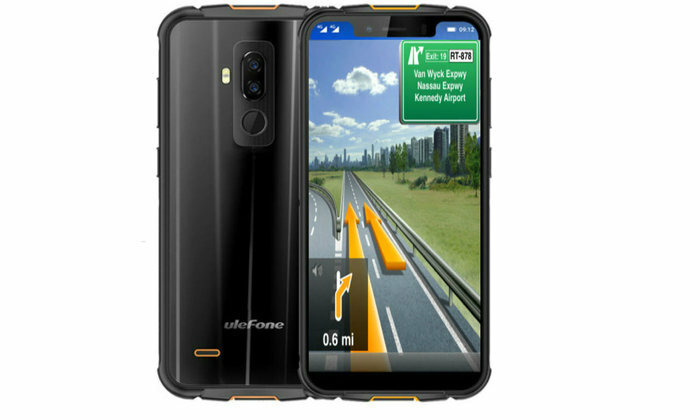 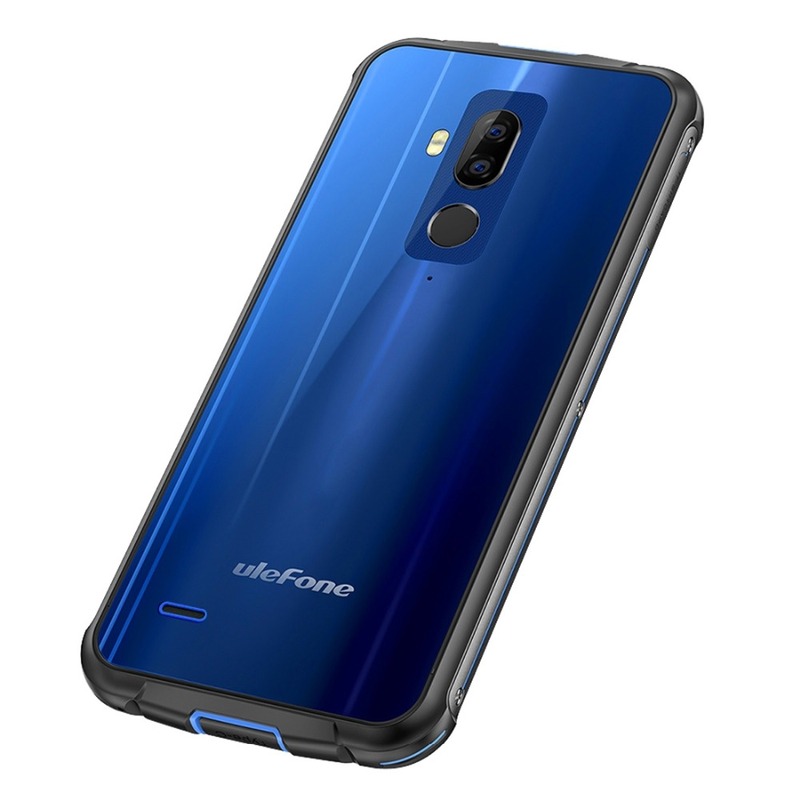 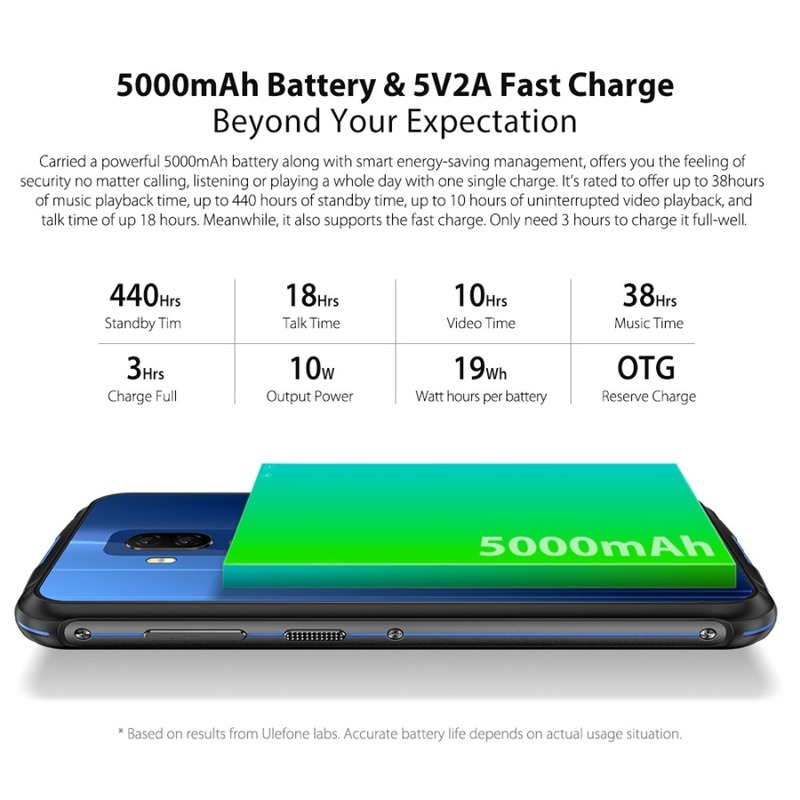 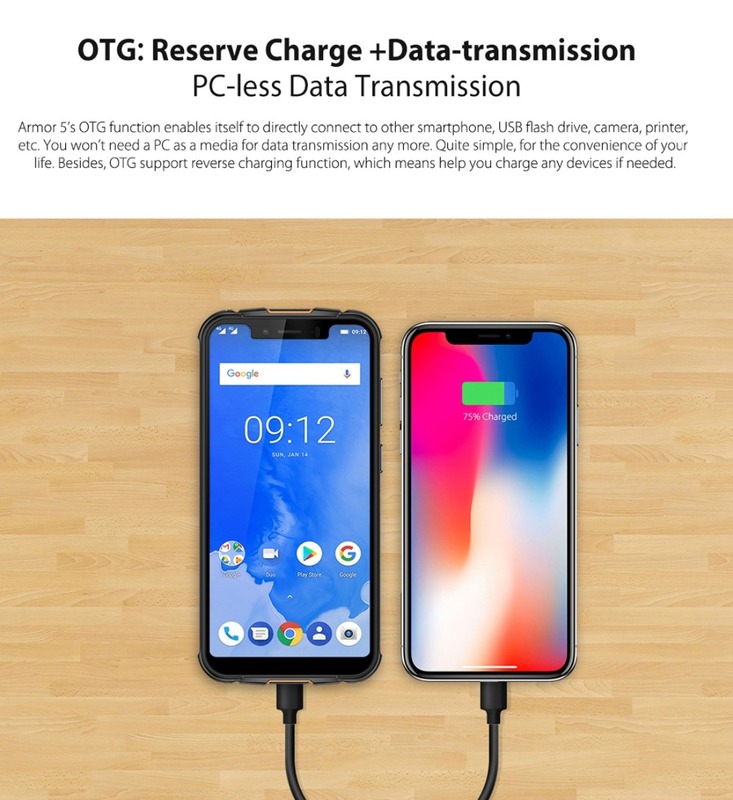 Hence, it not only satisfy you in daily life but also would be fine if you take it to go swimming or go extreme outdoor environments,like heavy rain, mud, and rivers, mountains, the impervious Ulefone Armor 5 would definitely be your best assistant. 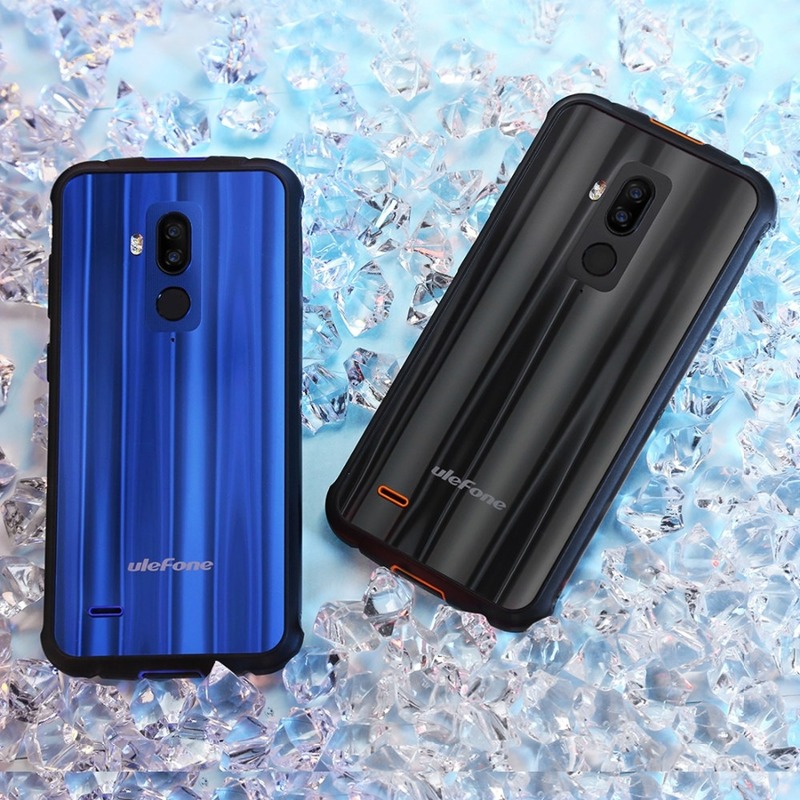 And components exposed to the outside world have a high-density macro-molecule coating to make them waterproof. 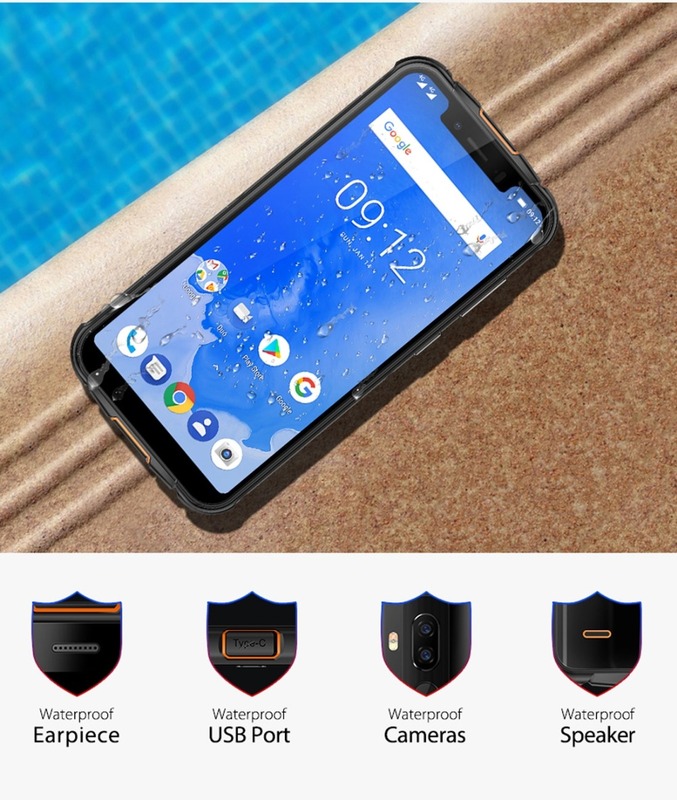 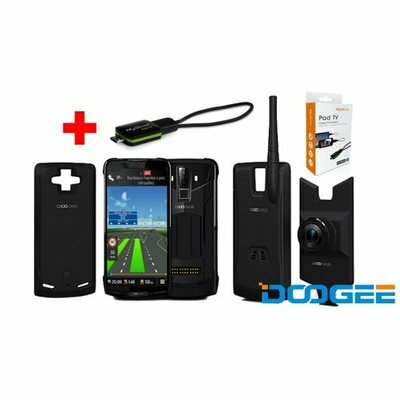 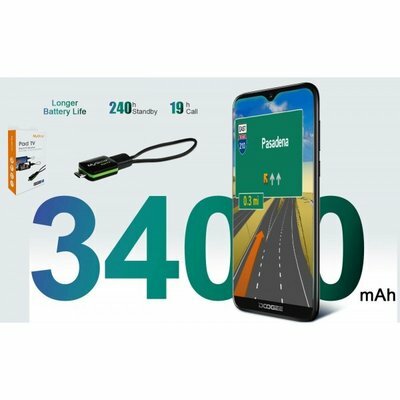 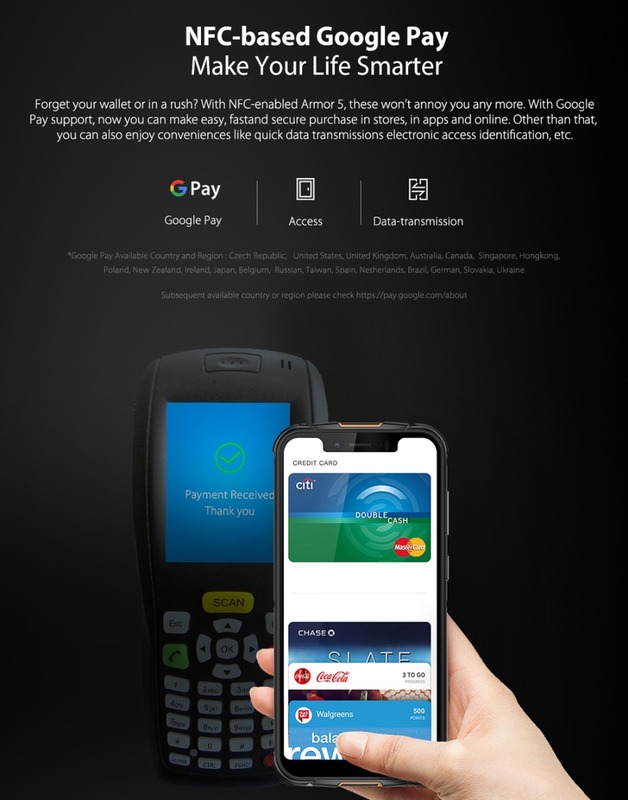 Different from other rugged phones, it is world first notch screen smart phone. 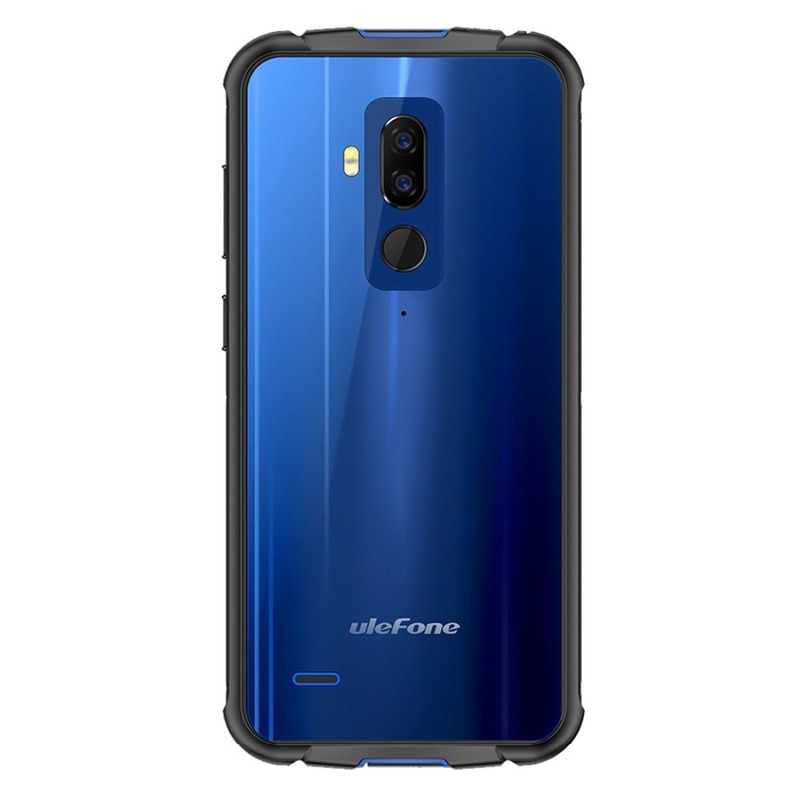 Ulefone Armor 5 is in quite comfortable grip with its fashion design. 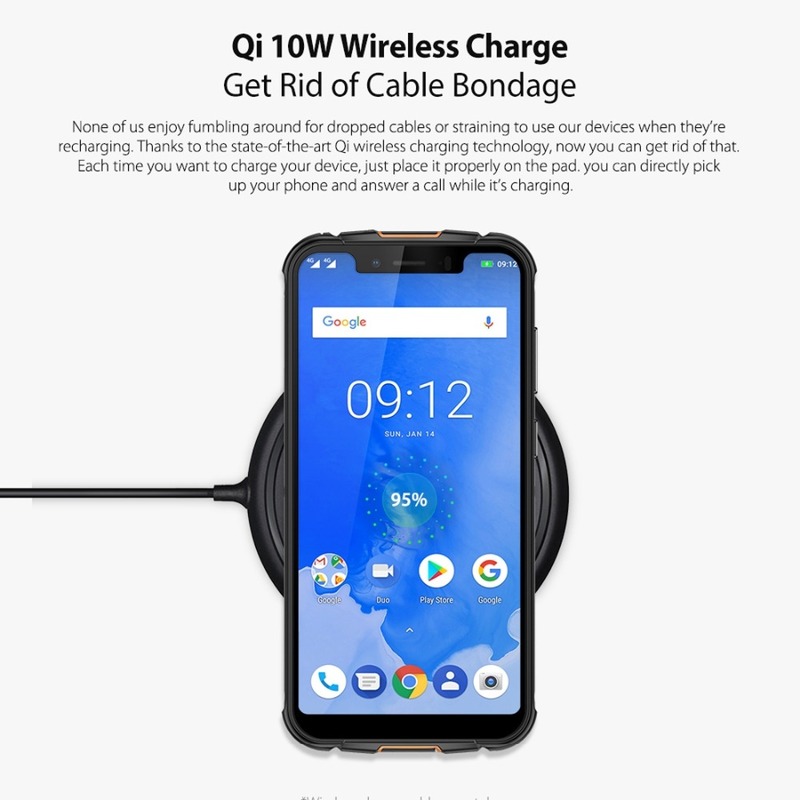 And the backcover is definitely impressed you. 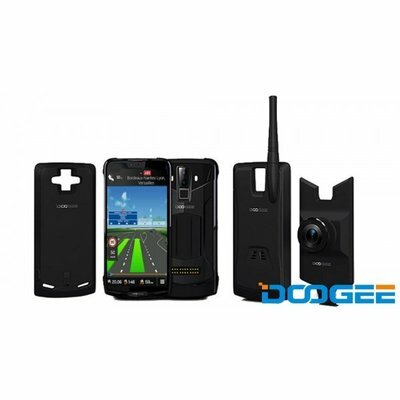 Made of acrylic , the surface is highly resistant to scratching and abrasion. 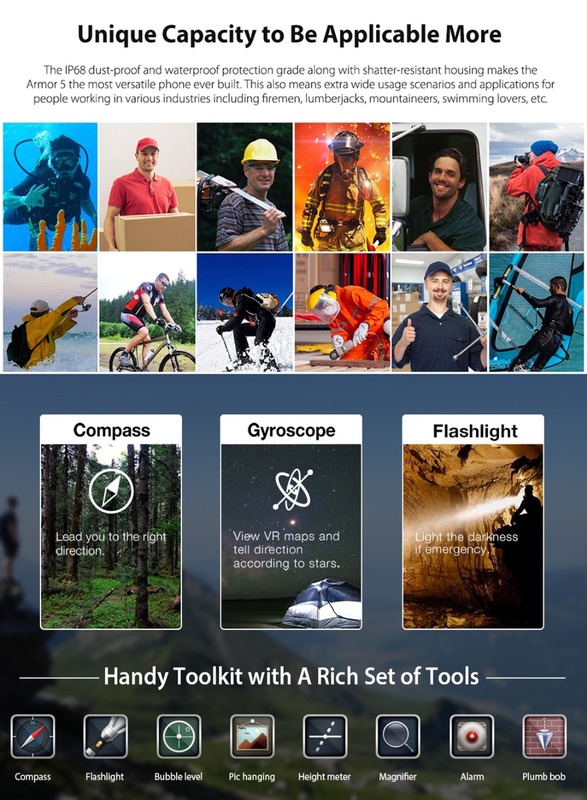 The entire activities on a phone are linked with the processor present on board. 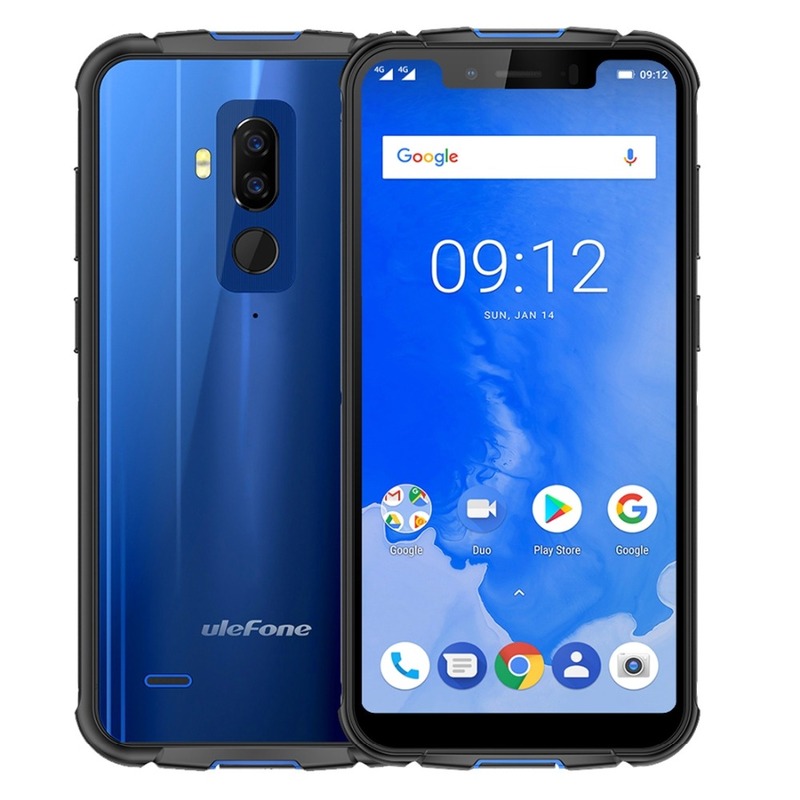 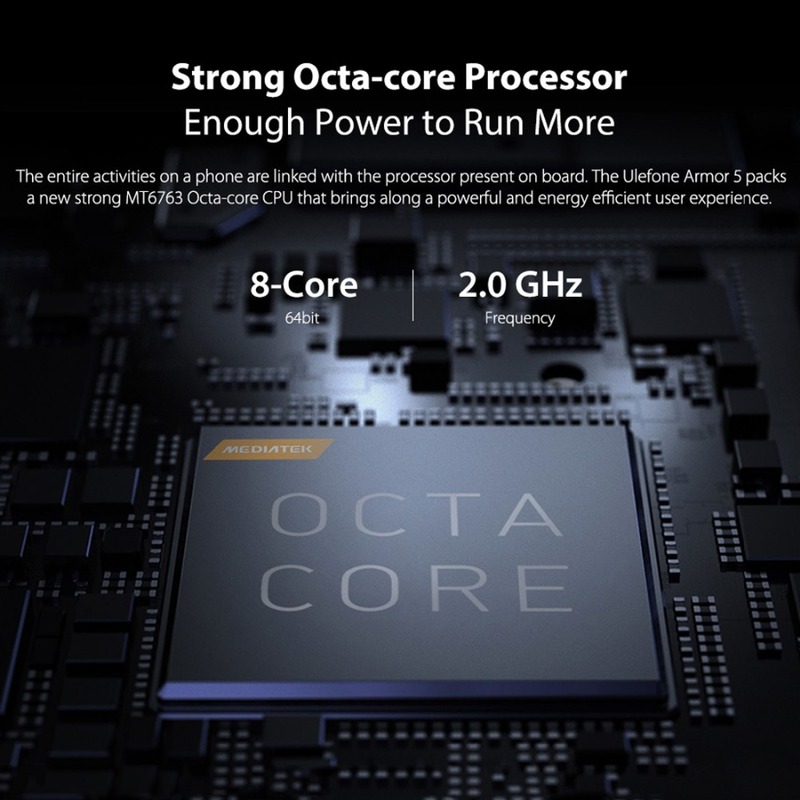 The Ulefone Armor 5 packs a new strong MT6763 Octa-core CPU that brings along a powerful and energy efficient user experience. 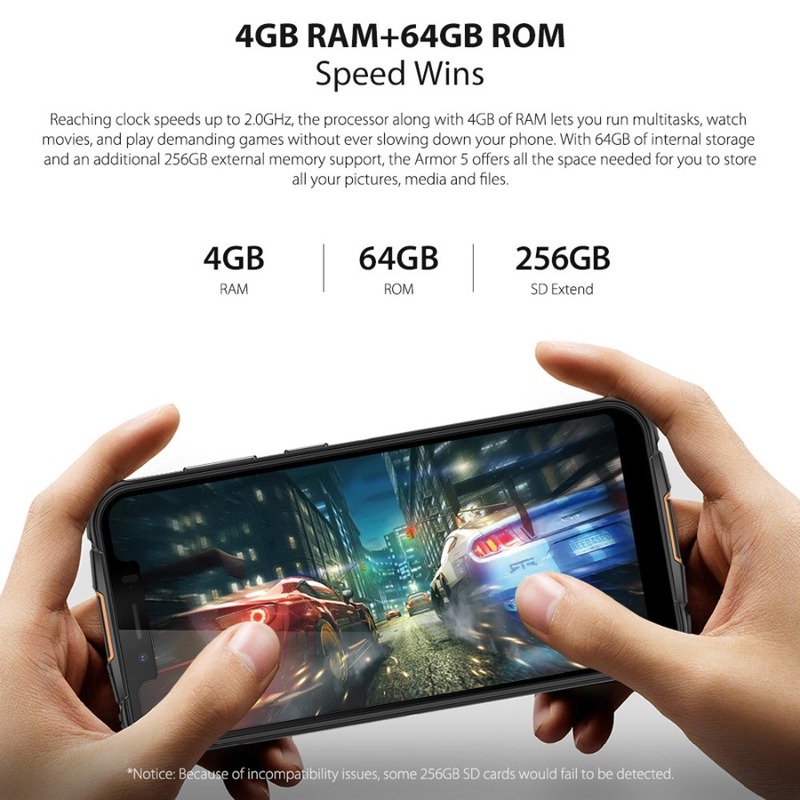 Reaching clock speeds up to 2.0GHz, the processor along with 4GB of RAM lets you run multitasks, watch movies, and play demanding games without ever slowing down your phone. 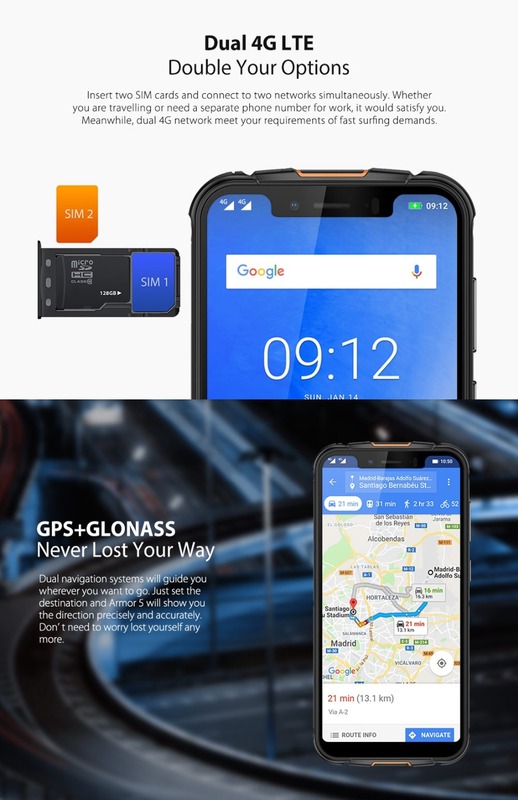 With 64GB of internal storage and an additional 256GB external memory support, the Armor 5 offers all the space needed for you to store all your pictures, media and files. 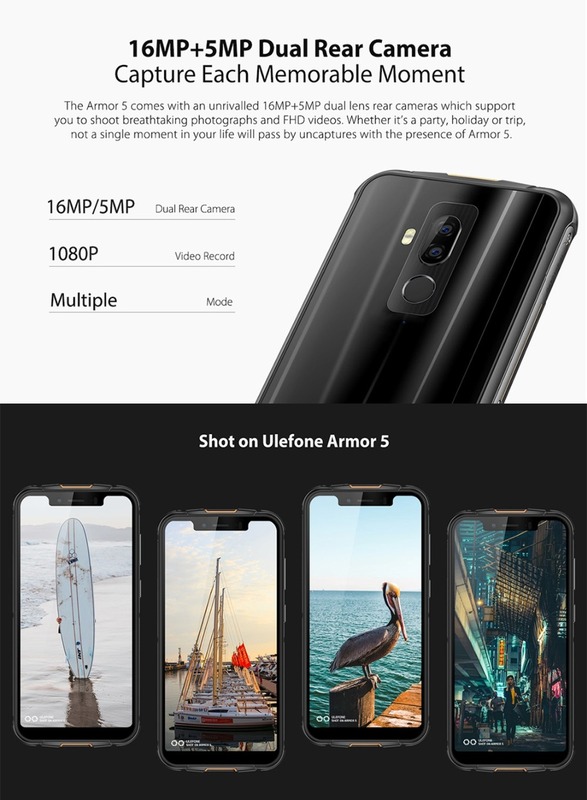 The Armor 5 comes with an unrivalled 16MP+5MP dual lens rear cameras which support you to shoot breathtaking photographs and FHD videos. 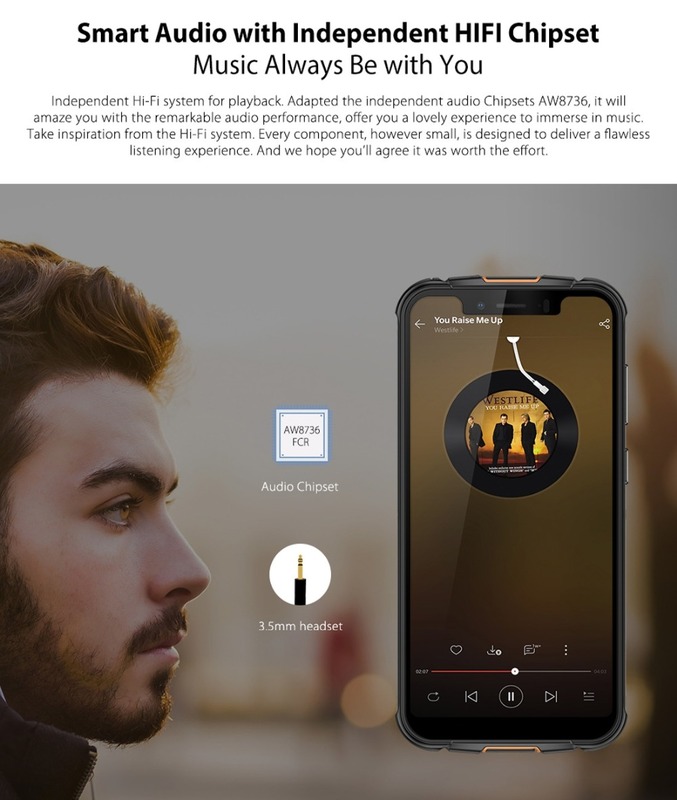 Whether it’s a party, holiday or trip, not a single moment in your life will pass by missing with the presence of Armor 5. 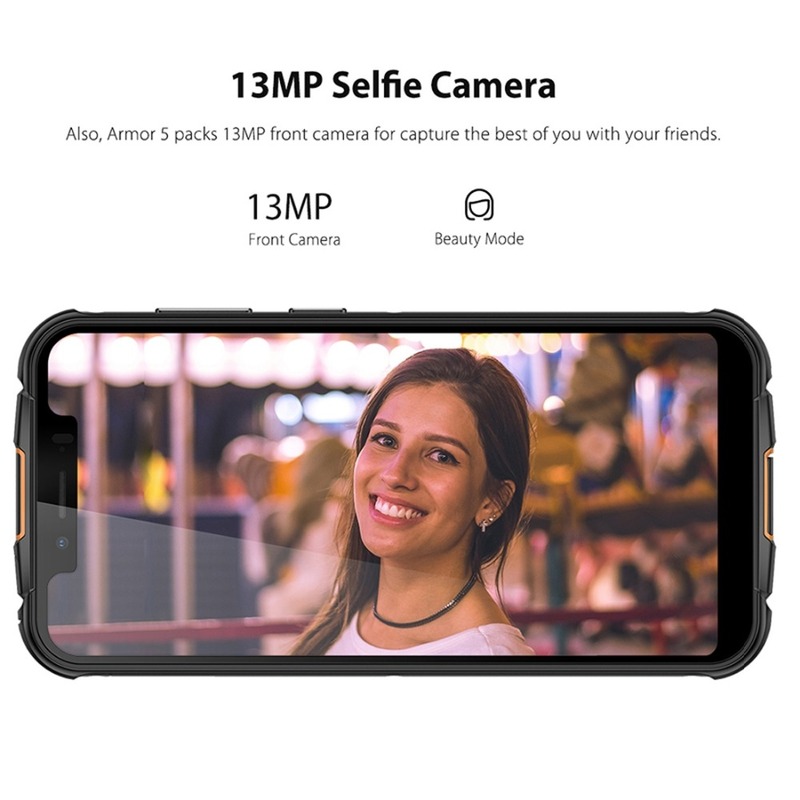 Also,Armor 5 packs 13MP front camera for capture the best of you with your friends.